The prime goal while delivering any product is customer satisfaction. There are three parameters to measure this – function, looks and price. The best balance of these three determines a successful product and the one that sells. 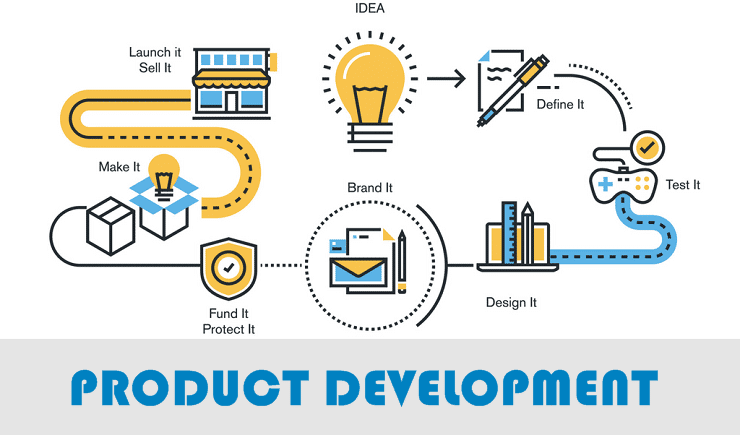 Product development is a highly competitive market and without the right innovative mindset, there is no assurance whether you will be able to survive or not. The best strategy is to sell a product that delivers unmatched function while being aesthetically pleasing, economic and highly desirable. Our product development consulting guides you with a perfect strategy that will serve towards creating the right product for the target audience. There are products that exist but are a compromise in many aspects. The lack of competition in the sector makes users depend on them. A smart market exposure and an innovative design strategy helps develop just the right product that is an improvement over the other choice. In this way, you “CREATE A COMPETITION” and with better solutions, establish yourself as the preferred option. It is design that differentiates two products that are made to deliver the same function. Generates customer loyalty and creates a strong brand identity. We strive to empower businesses to respond to customer needs and launch highly successful products in the market. An effective design caters to all the service requisites and assures best function. Testing and prototype development produces reliable solutions that are guaranteed to serve a seamless function. Every product is a representative of a company’s ideas and our partnership ensures that only the most advanced and innovative offerings carry your proud brand label. Design helps retain customers and lets your organization surge forward towards exploring newer markets. Product refinement helps fill the market gap and generates customer interest which in turn helps generate sales opportunities. Updated designs attract the target market customers and are cost effective as well. Roars tends to furnish new technologies, satisfy latest trends and offer careful material choice in order to delight businesses with the most feasible product development solutions for unhindered growth to increase the probability of success. Explore the tangible and the intangible with our 30 min consultation that will enlighten you with the delightful ways on how we as a product development company will let you surge forward and get well ahead of the competition to be the customer’s favorite choice.